The San Deluxe Package is for those guests who want to experience Rossi's special race in Top Luxury. 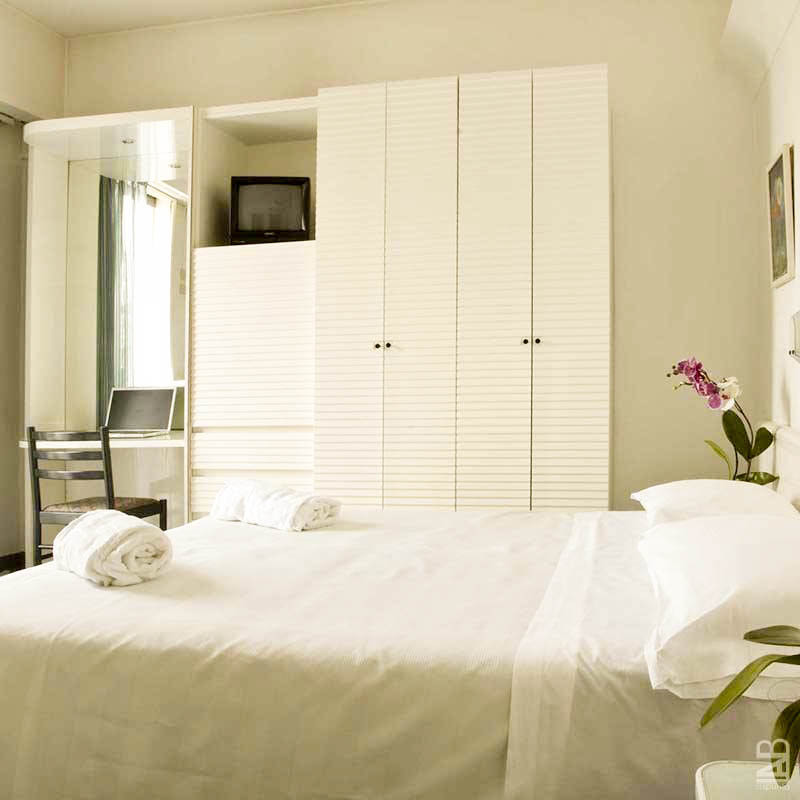 Located in the only 5* Hotel in the region at the heart of Riccione. The 100 year old establishment is incredibly romantic, with two pools and the classic American Bar. 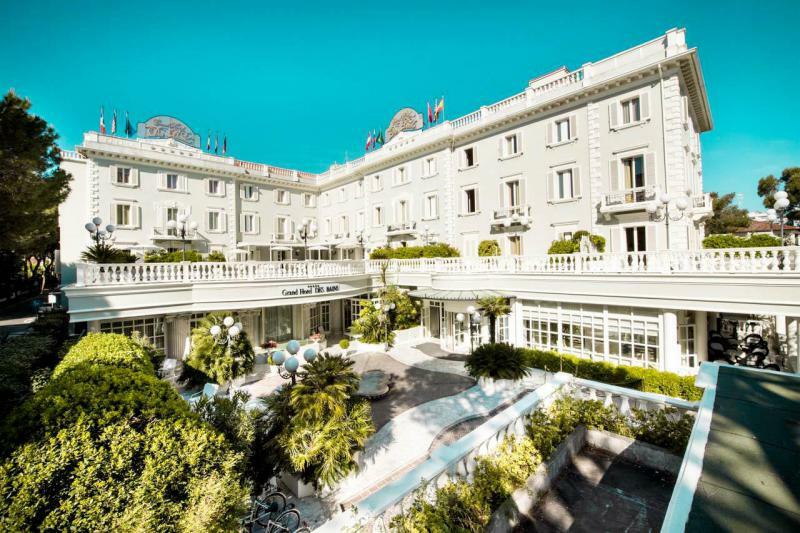 The San Marino Beach Package is located in a charming 4* hotel right on the water. This hotel has plenty of Seaview rooms and easy access to the beach and the promenade. The Beach Package will let you enjoy the Adriatic and Riccione to the fullest. The San Marion Classic Package is based at a super friendly 3* hotel right in the centre of town, a short walk to the beach. Also close to the local shops, bars and nightlife. Giving you the local feel of Riccione. REMEMBER: PRICES ARE QUOTED WITHOUT TICKETS. You may choose any ticket with any package when booking. San Marino is one of our larger events, and we have packages for all budgets and styles. All packages include bed, breakfast, track transfers on Sat/Sun, access to our guides and our opening party on Friday. 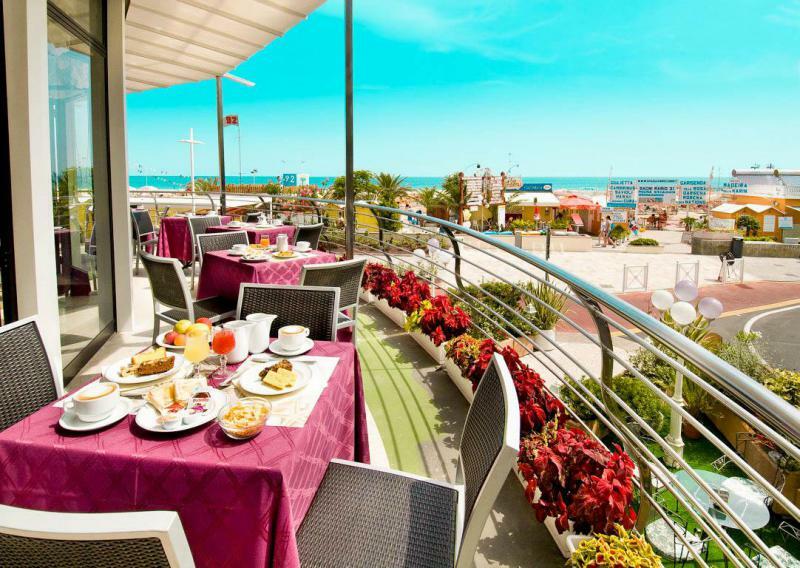 All hotels are in the lovely town of Riccione, which is the heart of the night life and atmosphere of the MotoGP weekend. All hotels have been personally inspected. All hotels are also easy access to the beach, some better than others. All hotels have secure motorcycle parking. Let us know any special requests. Choose the Classic package when your real focus is trackside, and the town nightlife. The hotel is great, simple and you will not be disappointed. The Beach package is set in a 4* seaside hotel of outstanding quality and service. The Deluxe package is for VIPs. Simply the top luxury hotel in the region. If you have your own accommodation, don't panic. We can offer a very limited number of "no accommodation" packages permitting you to participate in the entire programme as if you were a full package customer. Just show up at our hotel on time!